Thursday, Apr. 19, 2018, 10 a.m. – 1 p.m. Need a break from studying? Like to attack invasive plants? Nothing clears the brain like some hard work in the fresh air! 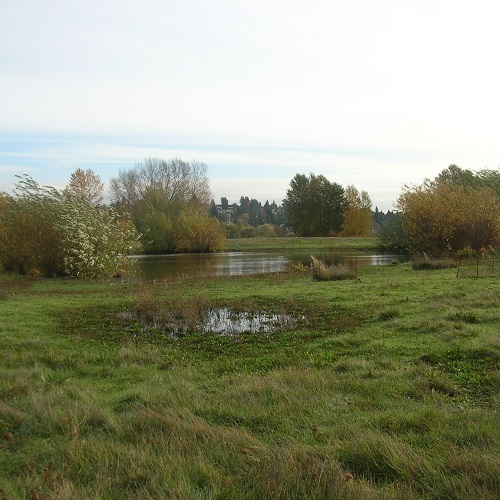 Come out and join us for weekly work parties in the Union Bay Natural Area! Every Thursday in Spring Quarter 2018, from 10am-1pm come join us for some good ol' fun in the dirt and learn about the Union Bay Natural Area and ecological restoration! Everyone is welcome and no experience is needed. Gloves, tools, and snacks are provided for all volunteers! Remember to bring water and wear sturdy shoes and clothes that can get dirty. We will work, rain or shine! Meet at the tool cage behind Merrill Hall at the Center for Urban Horticulture (The tool cage is next to the lower parking area on the west side of the building). If you are late text Jon Backus at 707-529-5257 to find out where we are working that day.